The good folk of Suffolk come calling on Saturday lured by the bright lights of the metropolis and the appeal of S.E.7 itself of course. 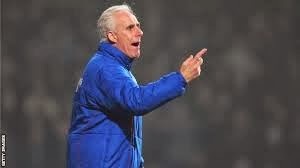 Present manager, Mick McCarthy, has been in charge for just over a year. Last term he took the team from bottom of the league upto a comfortable 14th place by the end of the campaign. Being ex-Millwall he is unlikely to get a warm welcome on Saturday. That's not just because of that association of course. Most Addicks will recall McCarthy's apparent inability to witness Pat Van Den Hauwe's forearm smash on Shaun Newton when Mick was Millwall boss. Let's hope that McCarthy is afforded a good viewing position at the weekend we wouldn't want him missing anything else would we ? Ipswich have a rich and varied history. They have won the Texaco Cup, UEFA Cup and FA Cup. In addition they were of course Champions of the old first division in 1961-62. That was under the guidance of Sir Alf Ramsey. Another famous England manager, Sir Bobby Robson, followed in his footsteps many years later. Sir Alex Ferguson's cousin, the lesser known Massey Ferguson, had a brief almost unnoticed spell in charge in the mid-1980's. In more recent times Ipswich have been outside the top flight for even longer than us. One recalls our famous play-off semi-final win over them especially the home leg that saw a screamer from the aforementioned Mr Newton as I recall. My first visit to Portman Road was in 1981 for a cup game when we were 3rd division and they were 1st division. We lost but put up a good fight. I believe Les Berry picked up a broken nose in the cause. It was a good day out as I recall. Back to the present day and Ipswich are in a run of indifferent form having garnered 7 points from a possible 21 that includes a few draws. However indifferent their form may be we can be sure that they will pose a far greater threat than Donny Rovers on Tuesday. Today they have brought in Jordan Graham, a winger, from Aston Villa. It seems he may feature at some stage on Saturday. One time Charlton target Wordsworth may be on the bench. In addition, former loan player during our league one days, Frank Nouble, is amongst the ranks. It's hard to see any changes in our starting eleven as it appears Hamer is unlikely to be fit. Of course, there's no chance of seeing Solly which is a shame as Wilson had a bit of a stinker in midweek albeit that is something of a rarity given that he has been quite consistent. Pope will be on the bench of course having returned from York. Alnwick acquitted himself well on Tuesday and I'm looking forward to seeing him again. A win on Saturday would put us level on points with our opponents and that would be great. A draw wouldn't be bad either. Let's hope it's a good game and that we can produce the rarity of two home wins in a 5 days, quite unusual for this season.